It's a summery Sunday evening, and I'm sitting here thinking about storms. Since I was a child, I have loved storms. Rain pounding on the roof, lightning shooting across the sky, thunder shaking the room. In the safety of my parent's blue room (the name my sister gave our family room which once had blue carpet and a blue couch), I loved capturing the beauty of storms. 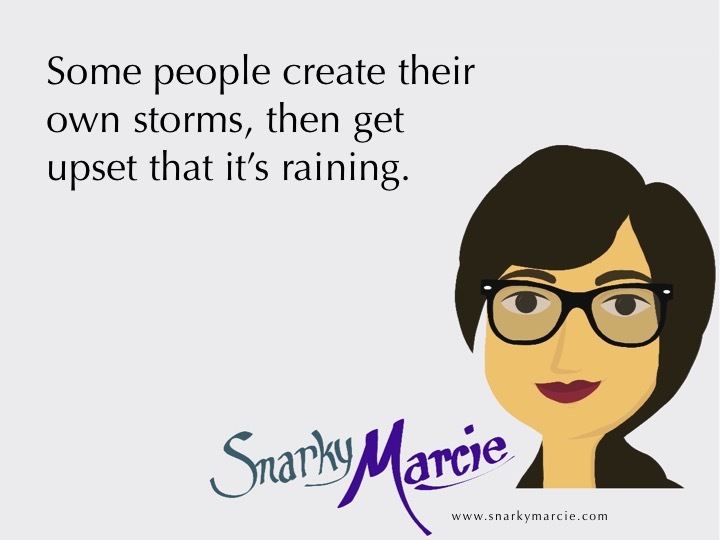 Moving past the literal, we face so many storms in our lives. They range from my toddler swallowed a penny, to the diagnosis of disease. There is the world-rocking pain of your first breakup, and there is uprooting your family, your life, for a new job. Some storms are small, like the cancellation of your favorite show, and some are huge, like the inconsolable experience of losing a loved one. All of these are storms. Standing in my kitchen this morning, listening to my little girl talk about the newly hung cups on the wall, Casting Crowns sang Praise You in this Storm. It's a not so snarky lesson for all of us. Christian or not, there is a lot of opportunity in storms. 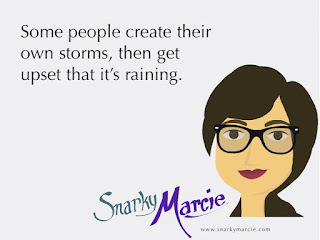 Another person's storm is hard not to watch. So and so is getting divorced. How sad for them and their family. I won't harp on you for paying attention to another person's life. We should be here witnessing. Here to celebrate one another's accomplishments and comfort them through their struggles. You may call your Facebook stalking 'social research" but it is what it is. We watch other people, especially when they are going through hard times. And, just as it is anytime, we are watched; people are gathering perceptions about us. Be brave and stay strong through storms. People will notice. 5. Don't fall to victim-thinking. Work is swamped. Your boss keeps asking you to take on more work, being super thankful but all the while knowing you can't say no. You don't have enough time in the day. Everyone wants you to fail. If Mr. Slacker would come to work on time and do the tasks he agreed to, you wouldn't have to continue wasting time gossiping in the lunch room. #Wambulance. Now remember, we talked about this. Gossiping is complaining to someone who cannot fix the problem. Quit being a self-proclaimed victim of your own circumstances. Tell your boss your need help, and that Mr. Slacker is at it again. It's either that or shut up about it. Everyone who comes into the break room and hears your sob stories will only think that you could do less yapping and more working. Work can get hectic, life is hectic. Don't blame your situation on other people. Take responsibility for your situation. Make it better or shut up. 4. Look for a new outlet. If your situation has you going insane, find a release. Maybe it is praying, working out, crafting, reading. Find something. Make sure it is decently safe and that the expense won't have you more stressed, and do it. #YogaAnyone? 3. Save your best self for your family. If you can only manage being a sane, rational adult for a set number of hours each day, save it for your family time. From the sounds of it, you either won't have that job much longer or it won't have you, but you'll need your family either way. A spouse, parent, sibling should be a support for you. Everyone needs to have a rock in life, a stability they can lean on. But, if you are only ever leaning on your family, they will get eroded from your negativity. Remember, they need support too. #ItsNotAllAboutYou. 2. Let people see you struggle. No one believes you're a robot. You may wear a pretty important cape and draw an 'S' on all your clothing, but you're not fooling anyone. People will respect you more if you show your humanity. Don't be afraid for them to see you bleed. If you're taking responsibility, steps to improve the situation, and staying sane, people will actually gain respect for you through this situation. I keep my personal life separate. People should not bring their outside problems into the workplace. Keep dreaming. We are products of our situation. If I'm going through a storm in my personal life, there will be no hiding it at work. I'm not two faced. There is something to be said for compartmentalizing, but that isn't a permanent solution. #RealityCheck. 1. Praise those helping you through the storm. Get over yourself, and think about those most important to you. I choose to lean on God, first; family, second; friends, third. Focus on their help, support, and love. Focus on their presence; they don't need to put up with you at all, but they do. The worst thing you could do is be a fair weather friend. So don't be. Go find those people that you need, that you've relied on, and thank them. #ItsStillNotAllAboutYou. You do know you missed that one post. You should be embarrassed. It's best you make up for your mistake, and subscribe. Now. Subscribe now!